Technology News: Are You Ready for Android OS Migration? This means you have a choice to make. 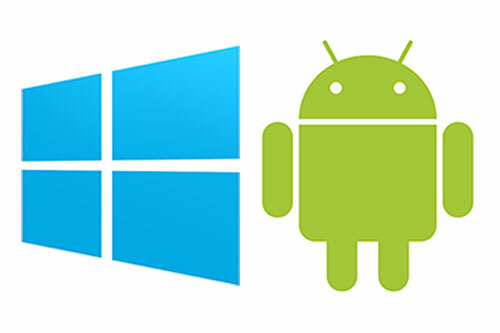 Migrating your outdated Windows® devices to Android compatible hardware can allow your warehouse and its workers to operate faster and more effectively. To compete in a new warehouse environment in which e-commerce has raised delivery speed expectations, you need to quickly train front-line workers to fill orders more efficiently. Outdated Windows® devices running green-screen applications aren’t designed to match the speed and volume of today’s on-demand economy. Greater order-fulfillment speed. The intuitive Android user interface and modern touch-screen technology combine to yield 40% faster data entry1. And the Simulscan multi-barcode solution captures multiple barcodes on a label with a single scan. Higher fulfillment accuracy. Empowered with the flexibility to easily add soft buttons, on-screen keypads and photos of products to Android’s larger touch displays, workers can reliably capture barcode data faster, from near and far distances — with 60% fewer errors1. Radley’s experts can help you navigate migrating your hardware, devices and even Windows® apps to Android-compatible solutions. Visit our website for more information on Android OS Migration Services. 1In tests using TC8000 versus traditional push-button devices.